Hey ladies, just a quick casual Friday post to get you ready for the weekend! I've been really inspired by some beautiful color combinations geared towards Spring, and olive and blush tones are my personal favorite. I love taking basics and elevating them like this. 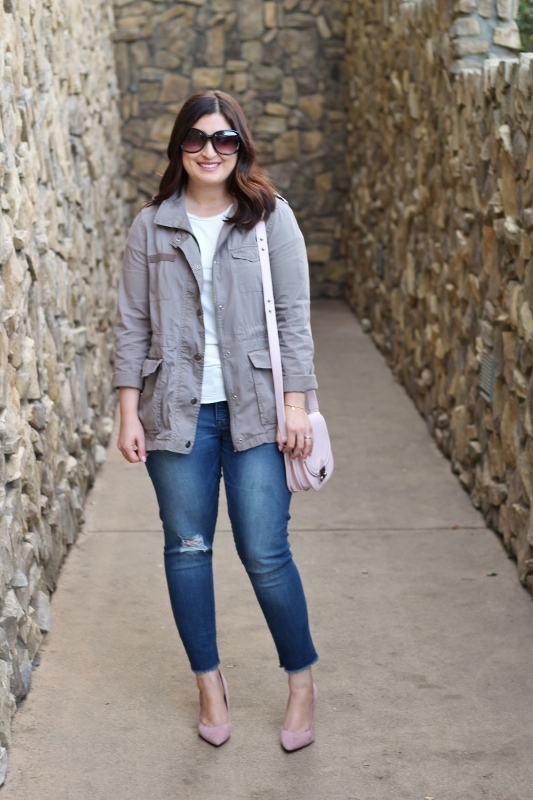 A utility jacket, distressed denim, blush accessories...Except, something was missing...I've needed a simple white tee for awhile now, and this one from Tobi was just what my wardrobe was missing. It's a jersey material, which means it's super soft and has a nice flow. That seems to be the case for all Tobi items I've tried. You can't go wrong with a t-shirt and jeans! As a California girl, I live in mine. Day or night, as long as you add your own unique flair, you're good to go. I hope you have a great weekend, I'll see you back here on Monday with what I wore for Valentine's Day. Such a cute look, I love these pastel pumps. 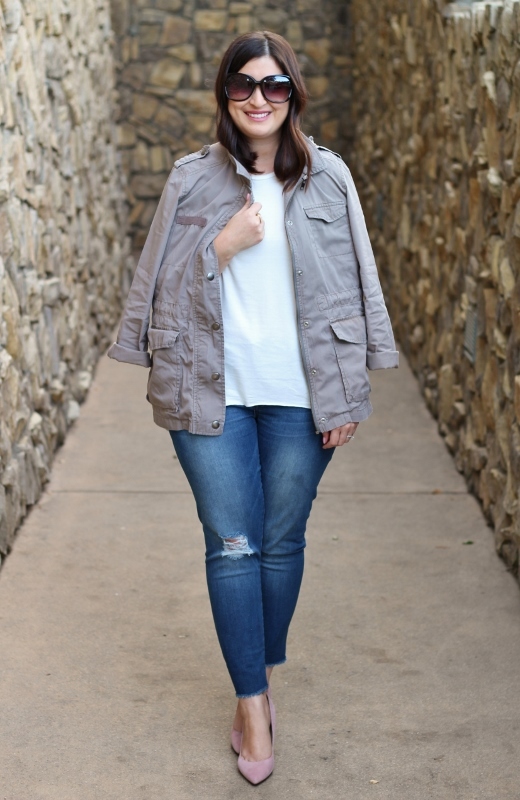 I love pastel colours and I love how you styled the delicate blush pink with a more rough and army like olive jacket, they look amazing paired together. Such a classic and cute outfit! I think I have that exact tee from Tobi and love it! It's so soft and I love the relaxed fit!